In Israel, hummus is everywhere: in menu of fine dining restaurant and snack bar, where you can «on the run» snack pita with shawarma and hummus, falafel with hummus… Or just a pita with hummus! Hummus can be used as a separate dish, as a dip for potato chips, as a sauce for meat and vegetables. Hummus is ewerywhere! 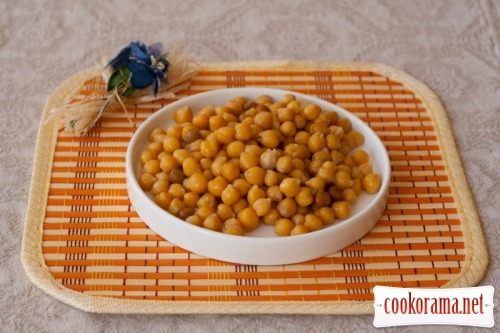 But without chickpea (nuhut, nohut, garbanzo beans), hummus is impossible. And hummus is impossible without sesame (tkhina, aka til or sim sim). So they exist together — nohut and tkhina. Begin to prepare tkhina. 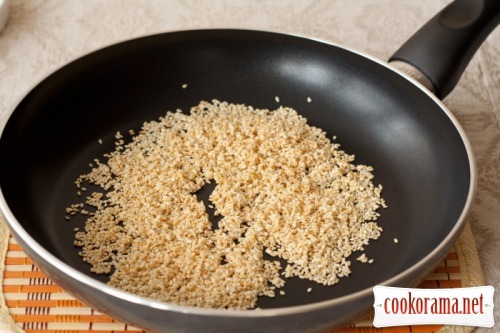 For that, lightly fry sesame in a dry pan. Not even roast or calcine, but rather dry, stir and shakу all the time. Two minutes — we don't need brown sesame. And immediately put sesame in a mortar. You can use a coffee grinder, but this way is more troubles and less effect. Heavy stone mortar is what you need! 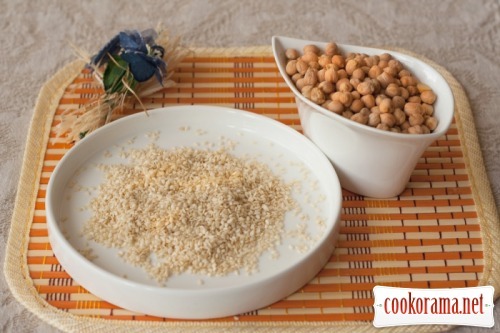 Before you start to rub sesame seeds, put a half glass of clean water in the freezer. We do not need ice, but icy water is required. Rub sesame to dust. It will take 15 to 30 minutes. And, continuing rubbing, add icy water by teaspoon. Mass becomes white on the eyes, and the smell of tkhina halva appears. 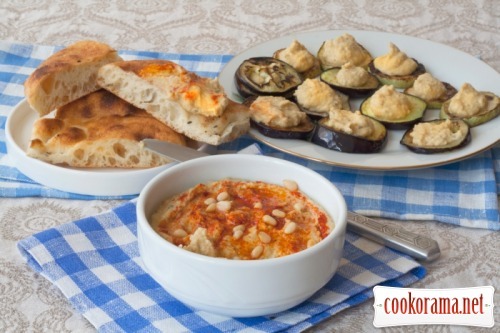 What you thought, from what tahini halva made?! 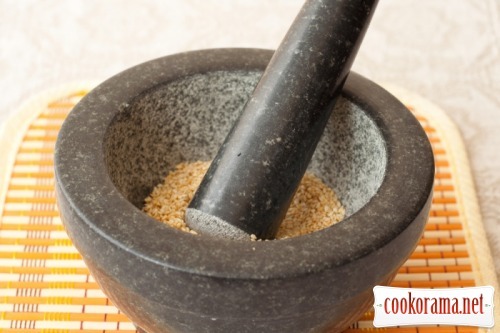 From sesame or with sesame oil! And we need to get tkhinf — emulsion (that's why mass is whitish — it is emulsified oil). Tkhina is ready. 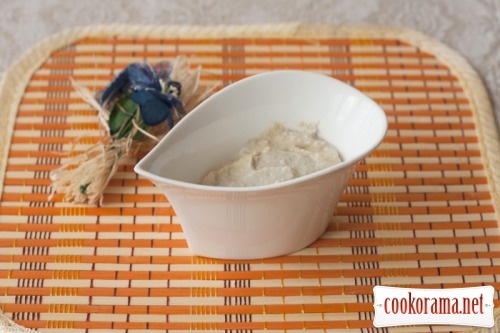 Basically, it's already finished dish, often it is used as a standalone sauce. But we are not looking for easy ways («normal heroes are always bypassing») and don't stop halfway. Hummus, we shell cook hummus! So we've pre-soaked nohut overnight, in the morning boiled it until soft (2-3 hours required). 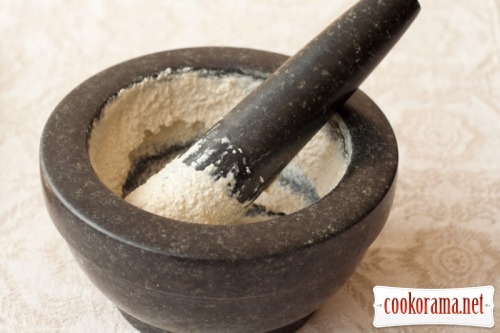 So nohut is ready — put into the blender, grind into paste! Industrial production of hummus achieves ideal smoothness of sauce, with domestic method some graininess can tolerated. 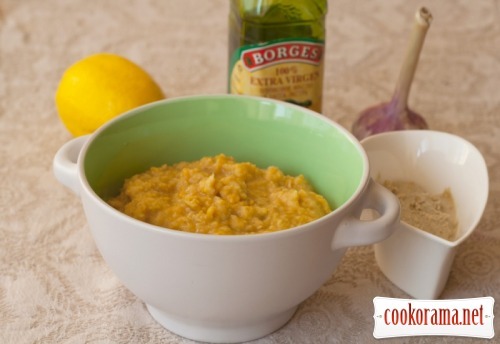 Should meet nohut (paste), tkhina, garlic, olive oil and lemon. And of course, spices. Which ones? 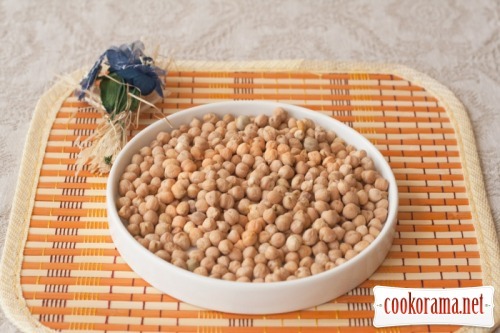 In every Middle Eastern family heirlooms hummus recipes are stored. This secret Jews and Arabs keep more sacredly, than Malchish-Kibalchish — military secret! And I share my secrets easily and simply — a pinch of cumin, a bit of dry basil and oregano, black pepper. You know, I prepare hummus not for the first time. But so tasty, as this morning, I still did not reciewed. Tortillas, fried eggplant slices and zucchini, with strong hot tea… M-m-m!